This beautiful classic 1977 rigid Vespa Ciao has just been fully serviced from front to back and is ready for another 35 years of fun! We’ve installed many new parts including a new quality tires. All major components have been serviced and inspected including reconditioning of the wheel and brake assemblies. The carb and exhaust systems were cleaned and the engine was tuned to run like it did when it first rolled off the factory floor. Ciaos are quiet, lightweight, dependable and easy to start. 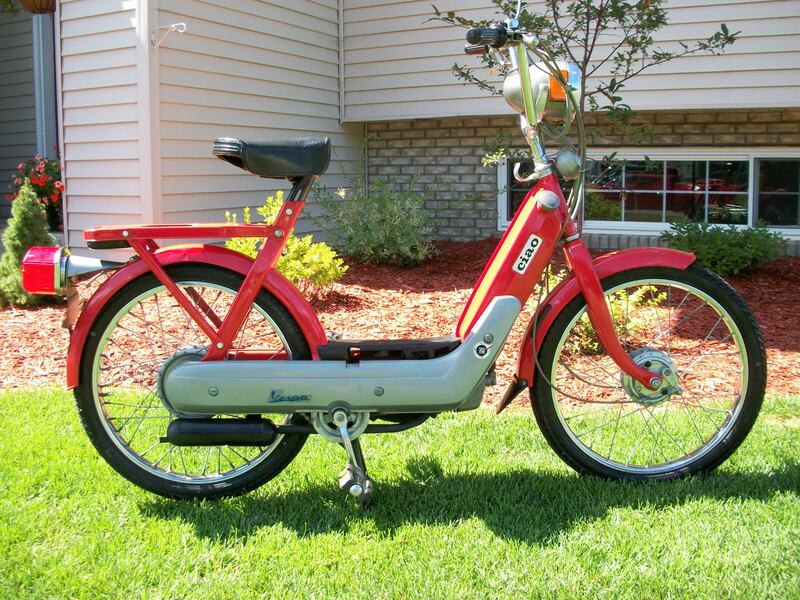 Excellent all around commuter for the first time moped rider or just another fine addition to your moped stable. 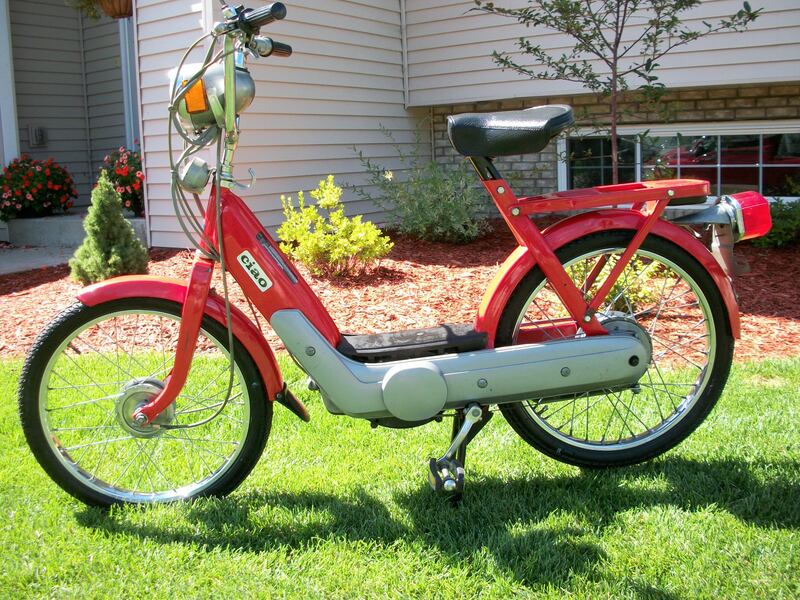 $700.00 delivered anywhere in the Twin Cities/St Cloud metro areas (Minnesota, USA) and a 30 day warranty. Contact us for more information or buy it now here!